Dr Yi-Mo Deng heads the molecular biology group at the WHO Collaborating Centre for Reference and Research on Influenza. After finishing her Bachelor of Science (Honours) in Microbiology in China, Yi-Mo moved to Australia to further her studies at the University of New South Wales in Sydney and was awarded a PhD in molecular microbiology in 1999. To further develop her career in the field of molecular biology and bioinformatics, she then worked as a Research Fellow for eight years in several leading biomedical research laboratories in both Sydney and Melbourne. Yi-Mo has a breadth of experience in the development of novel molecular assays and their applications to the studies of molecular mechanisms of drug intervention as well as patient treatment outcomes. 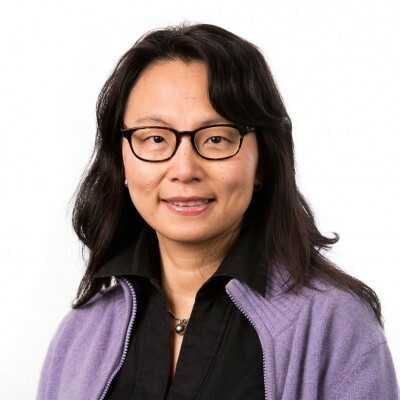 In her current role, Yi-Mo has developed a number of novel Sanger sequencing, pyrosequencing and Next Generation Sequencing (NGS) methods contributing to the research programs on evolution and dynamics of influenza viruses. Recently, Yi-Mo has collaborated with bioinformaticians to set up a streamlined pipeline for NGS data analysis to facilitate the high-throughput work at the Centre. Yi-Mo has published 50 papers in peer reviewed journals. NGS has made high-throughput sequencing possible and is capable of providing the whole genome sequence for an unknown pathogen. A number of protocols have been established or evaluated for either sequencing just the major surface glycoproteins HA and NA or the whole genome for influenza A or influenza B. A streamlined bioinformatics pipeline has also been developed to provide rapid and robust semi-automatic NGS data analysis. Further development and optimization will be carried out and they will be used to study both animal and human influenza viruses. Although Influenza C is not as widely spread as influenza A and B, there are still outbreaks every year and it mainly affects children and young adults. The HA and NA equivalent HE gene of influenza C has been analysed phylogenetically on a number of recent outbreaks in Australia. The full genome of influenza C will be sequenced using NGS and the genetic evolution of influenza C will be studied. This project, in collaboration with JCVI and Duke University in Singapore, analyses influenza B viruses from Australia and New Zealand to reveal the distinct phylodynamics of the two co-circulating lineages of influenza B viruses, and the reassortment patterns between the two lineages. Influenza vaccines need to be regularly updated to keep pace with frequent changes to the antigenic shift of the viruses. Vaccine effectiveness estimation is important to determine if the vaccine strain is a good match to the virus circulating in the season. Although host factors play a role, low vaccine effectiveness is usually contributed to by poor antigenic match between the vaccine strains and the circulating strains. Genetic information of vaccinated and unvaccinated cases will be studied for vaccine effectiveness in collaboration with Sheena Sullivan. Influenza viruses are abundant in animals and they can sometimes cross the barrier to infect humans, which is a great threat to public health. The next pandemic influenza will arise from one of the animal influenza viruses, therefore vigilant surveillance of animal influenza viruses is important. Given the frequent reassortment and diverse subtypes of influenza A existing in animals, the best way of studying animal influenza viruses is by NGS. Yi-Mo’s group will sequence avian influenza viruses from Australian and Cambodia in collaboration with Aeron Hurt and Pasteur Institute, Cambodia, respectively. While her team’s core task has always been on the molecular surveillance of influenza viruses and its methodology development, Yi-Mo’s group have been collaborating actively both within and outside the Centre on several research projects relating to the molecular characterisation and evolution of human or animal influenza viruses.